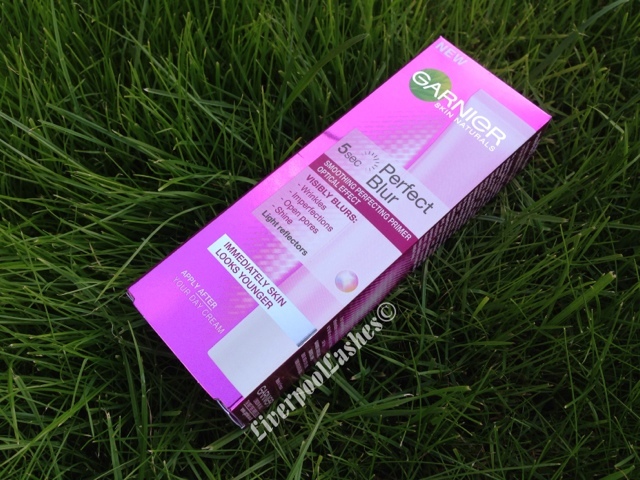 My beady eyes clocked the display stand for the Garner 5 Sec Perfect Blur Primer in Boots at the start of July but at that point I already had a pretty full basket so left it there. Then a couple of weeks ago I was in Asda and in the reduced section there was two boxes of them in perfect condition, reduced to £4 each. Assuming they'd made some sort of a mistake I picked up one for me and one for bezzie. When I got outside I messaged Leanne and she said it was a good price but that she had it and was on the fence about it. That's not exactly what I was hoping to hear but I was glad that at least if I didn't like it, I only paid a few pounds for it! Admittedly it took me a good few days to getting around to using it because I think I was slightly put off by the lack of enthusiasm by Leanne over it, but when I did finally open the box I tried to keep an open mind. First things first I tried to squeeze the tube and I realised it wasn't quite the liquid consistency I was expecting. When you squeeze it hard enough it kind of comes out in a powdery style splutter. As you rub it into your skin it does have the typical silicone feeling which doesn't bother me too much but onto the results. I waited my 5 seconds and could basically no real difference. I think the only thing I'd say is that it ever so slightly mattified my skin. The bottom line is... Can you guess what I'm going to say? As a primer it may be some use to keeping your make up on longer. As for the blurring effect which to me was the main point of the product, I couldn't see much difference. I also wasn't a fan of the consistency, it just reminded me of a like the certain type of fire extinguisher that sprays powder, it's not the end of the world it just wasn't what I was expecting! If you like this product then I'm genuinely happy for you, I wouldn't like to think that everyone had wasted their money but I won't be repurchasing it or recommending it. For such a great sounding product, sounds a little disappointing! I hear the L'oreal Miracle Blur is great though, maybe you could review that for us? Have you tried the L'Oreal Blur product? ?